Click here to redeem a special savings discount with Salesdialers.com arranged by Senior Marketing Specialists! Think Phone Sales Systems are Only for Call Centers? Nearly 75% of insurance business sold in 2018, and beyond, will be transacted over the phone and through the internet. Why would I want to change the way I do business, you may ask? Remember, it’s not about how you’re selling, it’s about how they are selling. 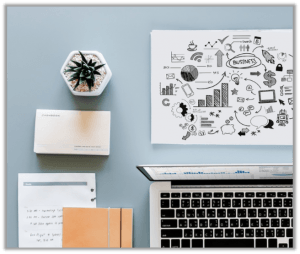 The entire world, every industry, from manufacturing, to retail, to the service sector are moving towards online and telephonic (non-face to face selling) methods. Why? Because they are following the buying trends. Consumers don’t want to leave their homes to go shopping when in 1/4 of the time and a lot less hassle they can click a few times an be done. It’s naive to think our industry can avoid this trend. It’s here, be aware. Think of the expanded geographical area for prospecting! That in itself should excite you… but read on if you still need a little more convincing. Uncomfortable with change? There is no reason to change your entire business model. You can still do face-to-face and local market selling. Simply adding phone sales to your list of selling strategies could exponentially increase your client base and income. You could do this by hiring a summer intern, having your office administrative staff call during down times, or a retired family member looking for a little extra income. Your callers are simply setting appointments for you to make the sale. And that’s what you do best right? Sell. Through trial and error we have identified the best states for phone appointment setting and selling. Certain carriers are also more friendly to work with when adding a phone sales system to your practice. Senior Marketing Specialists and SalesDialers.com are proud to announce a unique new partnership for all agents in the insurance industry. The phone and internet sales trend is creating unique opportunities for agents in the market, specifically Senior Marketing Specialists agents. We have been working behind the scenes to build the perfect program for our agents to take advantage of this colossal opportunity! There are 5 basic components to selling successfully over the phone. Our system has all of these things PLUS a community to be a part of. By partnering with us you will have INSTANT access to our experienced trainers, support personnel and Strategic Directors. When you log into your account each day to start your calls – instantly a “live chat” feature appears on your screen and you have instant access to our team. Technical questions, product questions, state availability questions and anything else you need is literally a click away. For agents who are just beginning to sell over the phone, we have developed a weekly conference call to speak with a mentor or coach who is already successfully selling over the phone. Being a part of a group of other successful salespeople is the key difference maker in our program, versus “trying” a new system online for 30 days and getting frustrated with lack of results. In tradition of saving the best for last… agents that would like to work sales leads over the phone, but not have the extra work of making the initial cold-calls, Senior Marketing Specialists has developed an exclusive package that includes a VIRTUAL ASSISTANT; someone that will make the initial calls and only pass on the leads to you. A Savings of Nearly $1,000 a Year! 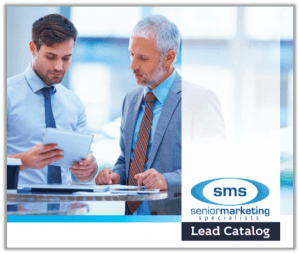 As a member of the Senior Marketing Specialists community, you will have the advantage of VIP pricing and systems that no one else in the country can offer you.